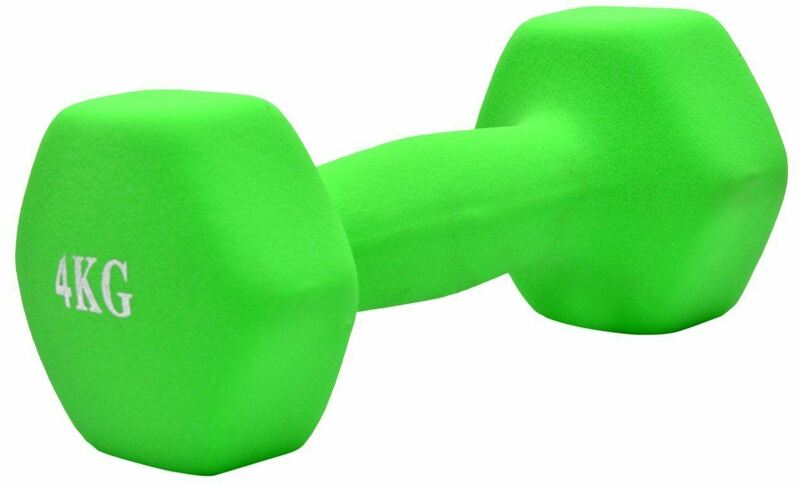 The Kemket Neoprene coated Hex Dumbbells Weight for a complete and comfortable workout. Easy-grip handles mean no slipping, and the outer casing and anti-slip base make them strong and durable. The Neoprene coated Hex Dumbbells have been designed to take up as little space as possible and can be displayed on a Neoprene coated Hex Dumbbells. Product Features :- Ergonomically designed easy-grip handles for maximum comfort, Anti-slip base, Compact and easy to store, Durable and long lasting.-- Strength Training:- As one of the most effective ways to reduce body fat, increase lean muscle mass and burn calories more efficiently, strength training is an important part of any fitness program. Studies have shown that strength training can help to increase the endurance of muscles, while also helping to increase bone density, reduce resting blood pressure and improve balance and co-ordination. Neoprene coated Hex Dumbbells are one of the most effective pieces of equipment to use during a strength training session. Offering users a full body workout, they utilize different muscle groups through their ability to be flung, lifted and pushed. 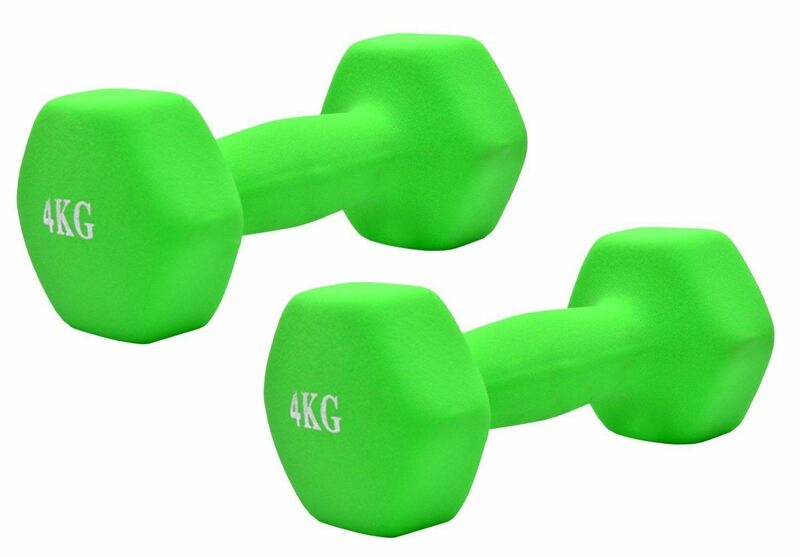 How to Use a Neoprene coated Hex Dumbbells:- To get the most out of your workout, it is essential that you are using the correct weights. As a guide, the last rep should be struggle. You should still have control over the weight and your form should still be correct but you'll feel like you can't repeat the movement any more. Neoprene coated Hex Dumbbells are ideal for explosive exercises that work major muscles, burn body fat, and build power, but they can also be used to add a new dimension to standard weight training exercises such as chest presses, biceps curls and rows. Neoprene coated ends for durability and protection. 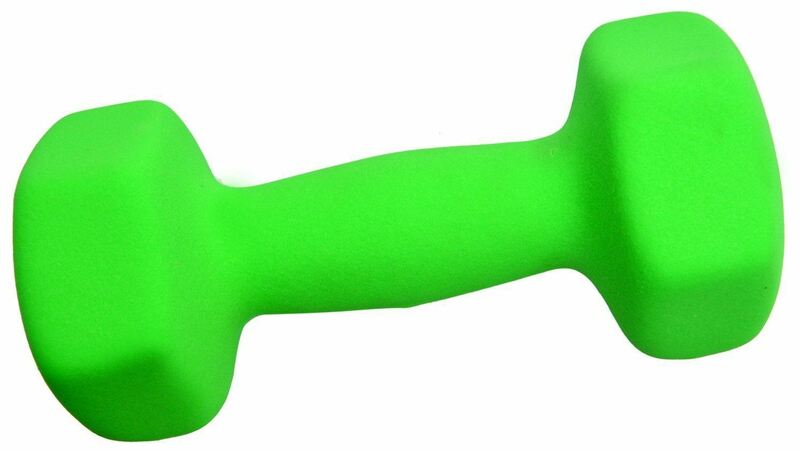 Ergonomically contoured chromed and knurled dumbbell grip. 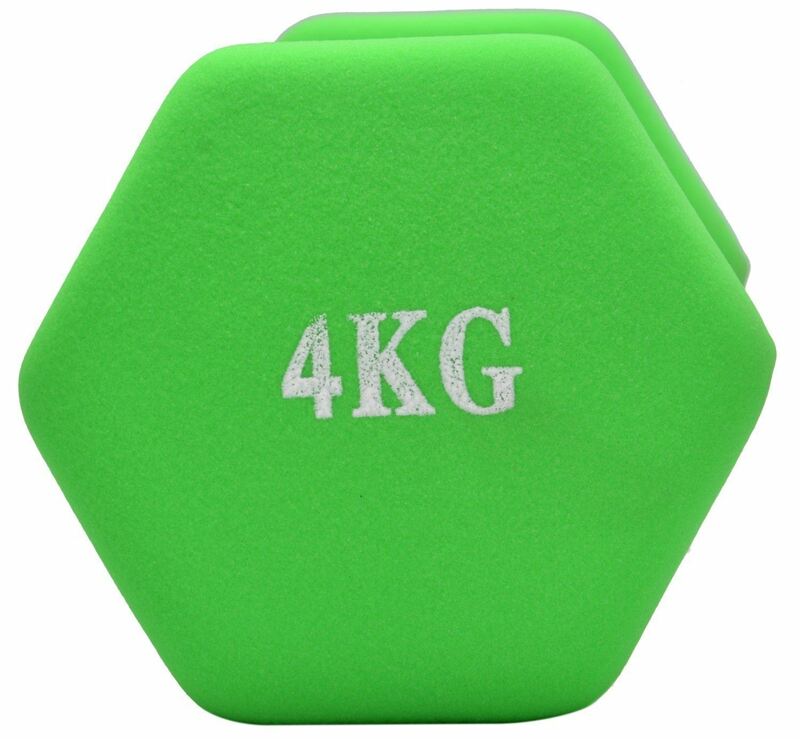 Hexagonal design prevents dumbbell from rolling. Perfect for home use. Build Muscle or lose weight. A workout to suit you. Develop co-ordination flexibility and build solid core strength.